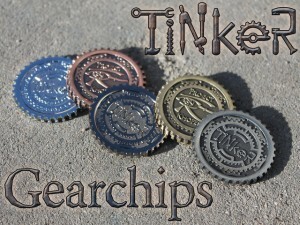 Project Khopesh is in their last couple days on Kickstarter for their Tinker Gearchips project. They've made well above their goal, so your pledge includes some extras. Well hello, everyone! Thank you very much for pushing us through $5,000! It's great to see everyone coming on board. We're happy to see you all, and we're really looking forward to getting these Gearchips out to everyone!